In previous years, several youngsters rode RoTFR from Debbie's to Ardbeg (under parental supervision), and we're more than happy to encourage this participation. Contact if you need to know more. The approximate half-way point is at Ardbeg Distillery where you can stuff your faces with the fine fare available at the Old Kiln Cafe. And if you're really good, they may offer a dram of their finest. we also have on offer the opportunity to participate with a smaller number of riders riding at a comfortable average speed in order to keep a conversational peleton together. 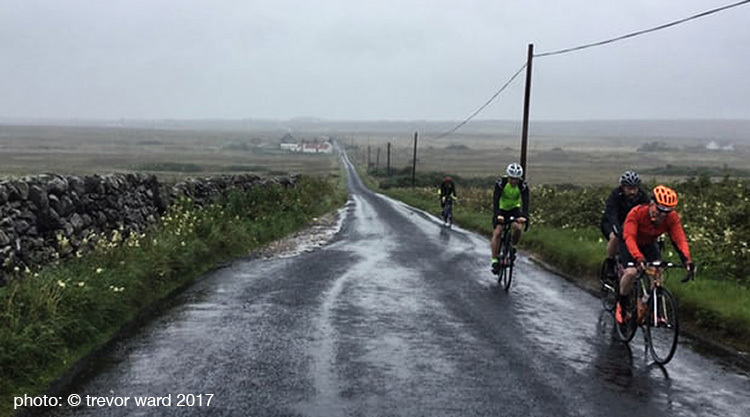 This group will not undertake the entire 100 miles, but still visit ardbeg distillery's old kiln café for a half-distance repast and dram. Those who wish to ride at their own (faster) speed and complete the full distance are still more than welcome to do so. if you'd like to take a look at the gps info for the 100 mile ride, you can do so here, kindly supplied by bart dereu.